If there’s one zone you need to visit, it’s Deepholm. And here’s what you should be looking for while you’re there. Fungal Moth: this Flyer isn’t any different from any of the other moths, but you may not have found a good Rare moth yet, and there are plenty of Moths here for the taking. Try and find the Speed or Stam/Speed breed if you can, but any rare will do in a pinch. Crimson Geode: this Elemental is worth farming for a rare as it has some very cool damage abilities. Try to get the pure Power breed or one of the Stam/Power or Stam/Speed breeds if you can. Anything but the pure Stam is good. 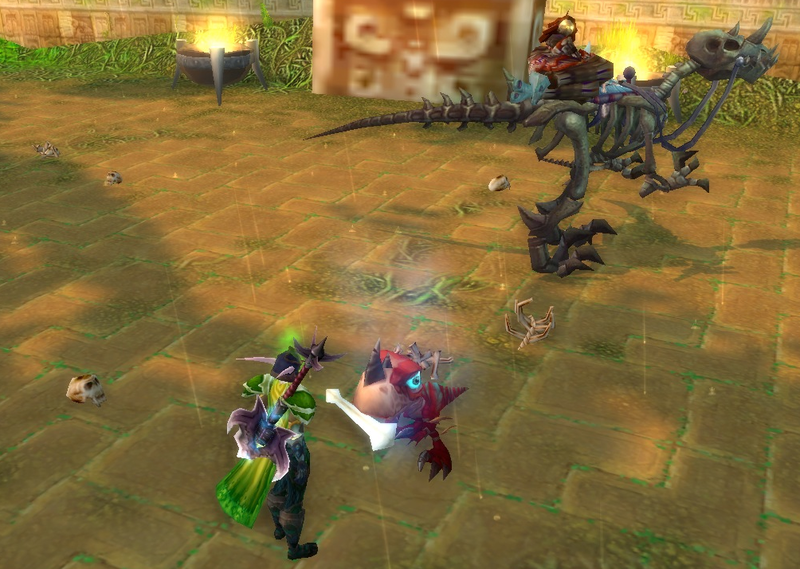 Crimson Shale Hatchling: this Elemental is a tanky variation on a spider pet. It holds up pretty well and is easy to level, though not all that useful against the later tamers. The Crimson and Topaz all come in variable Stamina breeds, while the Amethyst and Emerald can come in any of the nine breeds. This probably isn’t important when you’re just building up a stable, but it may be helpful if you’re farming for a specific addition to your PvP pet squad. 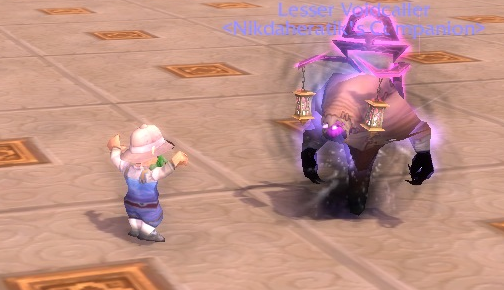 Nordrassil Wisp: this Magic pet can be useful against the later tamers, especially if you don’t already have a Magic Lamp or Festival Lantern levelled up. The other pets here are just variations on pets you may already have, for the most part. It may be worth farming for to fill out a hole, but there are probably better zones for this. Wildhammer Gryphon Hatchling: this Flyer doesn’t have any unique abilities, but it’s got such a cute look! Don’t waste too much time farming for a rare, but an uncommon shouldn’t be too time consuming. There aren’t many spawn points, but it’s a common secondary pet. Twilight Fiendling: this Magic pet can do alot of damage if you get the right breed. I was impatient, didn’t understand breeds, and wasted a Magic upgrade stone on a pure Stamina breed. I also haven’t used that pet very much since. There are better pets out there, but it’s cool looking and if you can find one in a Power breed it can be pretty good (I think). If you don’t have a rare Prarie dog or Marmot type pet, this is a good place to farm for one (Yellow-Bellied Marmot). They are much more useful than you’d think when fighting tamers. Otherwise, the remaining pets are just okay. This is probably the other “must visit” zone, especially if you’re looking for a rare moth or frog that you don’t want to level from scratch. Oasis Moth: this Flyer isn’t any different from the other moths, but you’re more likely to come across one here than any some other zones. 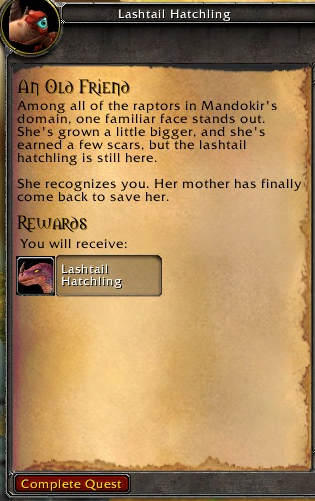 If you have a rare, or don’t care about moths, you can always get one in Pandaria. But this isn’t a bad place to farm or level pets and grab one. And that’s all she wrote! What are you even doing here? Pandaria awaits! 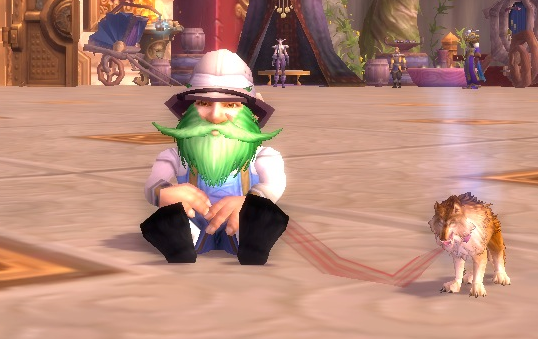 Just like Outland, there are many pets in Northrend, most of them are similar to pets you have seen before, but with unique skins and occasionally a different ability. Then there are the dragon pets, which are more numerous than on other continents, but often with difficult spawns. Blizzard is still working on adding new pets to Northrend, including the Unborn Val’kyr, which is likely to be tough to catch as well. Rather than go zone-by-zone, I’m listing the must have and hard to catch pets and you can look up other pets on WowHead. Also, don’t forget about the Argent Tournament which has a number of cool pets, Breanni’s shop at Dalaran, which has a number of nice pets, and the sewer market in Dalaran, which has the scary, but fun, Ghostly Skull. Nexus Whelpling. The consensus is a slow but steady spawn rate. The abilities are the same as the Azure Whelpling. Not an absolute must, but very cool and tamable pet. Emerald Proto-Whelp. 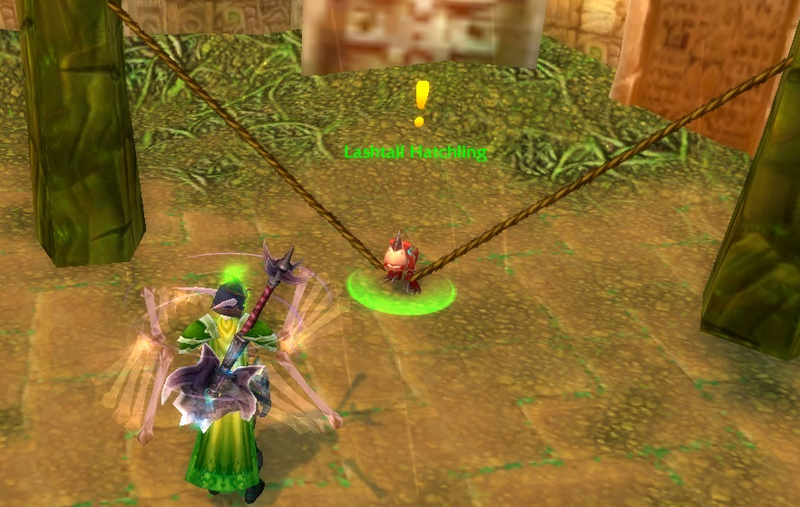 According to the WowHead comments, there seems to be some voodoo involved in getting these to spawn. I capped mine by persistently checking the location while looking for the Scourged Whelpling and waiting for snow in Storm Peaks. Its abilities are similar to the Emerald Whelpling. The combination of the strong self-heal, the magic attack, and the shield ability make this very good against the later tamers you will come across. Catch one, upgrade ASAP, and level it. You will use it. Water Waveling. 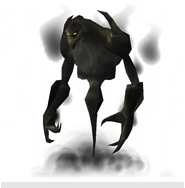 This pet is very good at killing other Elementals and does well against the few Mechanicals you come across. It spawns quickly and you have a good chance at getting a rare. In fact, you will likely come across more than one, so try and go for the stamina/speed breed over the more balanced breed as hitting first is important with this pet. Catch a Rare, level it, you will use it. Oily Slimling. Slow spawning and hard to catch in a rare. If you already have a good ooze, you don’t need it, but it’s still a good pet. Scourged Whelpling. Very long spawn rate that may have been improved in the last patch. They are perfect for killing Dragonkin, but you will likely have to take whatever you can catch and use an upgrade stone unless you are very lucky or very patient. And that’s it. There are lots of other cool pets, but if your goal is to get to Pandaria, you can come back for them later! You’ve tamed the Eastern Kingdoms. Your pets should be Level 19 or 20. Hopefully, they have a few friends. But before heading to Outland, let’s take a look at the remaining zones. Several cool pets here though Diemetradon Hatchling is the only really unique one. Lots of unique Mechanical pets and some interesting Critters. Worth the trip though some of the Mechanicals may be tough to find in Rare or Uncommon. If you’re looking for a rare Aquatic, Flying, or Snake pet, this is a good place to farm for one. Arcane Eye and Restless Shadeling are both very cool and worth farming for. It takes a bit of work to get a rare in either, though even uncommon is good. This zone has Minfernal, theoretically. But most of the time what it has are a bunch of tainted rats and moths and other useless stuff. Totally skippable. A couple of moths that aren’t really different from ones you can get elsewhere. Skippable. Snakes, spiders, scorpions, etc. Can totally skip it. More spiders, snakes, lizards, etc. Also skippable. Basically, this has the same pets as Searing Gorge only slightly more difficult to farm in. Same as Burning Steppes only with less selection.